After coming out as a surprise package in the precursor edition of I-League, Neroca FC is all set to take their opponents by storm in the imminent season which is all set to kick off from October 15th. 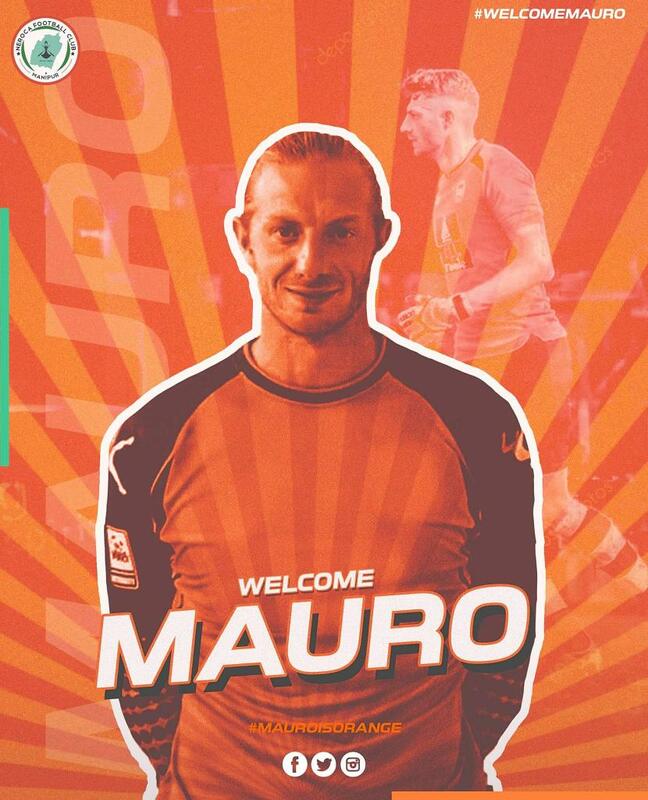 One of the major signings for Neroca this season will be the introduction of their Italian shot-stopper, Mauro Boerchio. The 29-year old custodian has been a significant moniker in the ranks of AC Renate, FC Verbano Calcio and definitely Maziya Sports and Recreational club, who were humbled by Indian giants, Bengaluru FC in the preceding season of AFC Cup. Mauro Boerchio is a 6ft 5inches towering monster under the woodwork and will be the second tallest goalkeeper to grace Indian football after Kristof Van Hout played for Delhi Dynamos. Mauro Boerchio is an emphatic shot-stopper and is also a leader who drives the team from the back. However, one of his major glitches is his reflexes, which was one of the major reasons why he had to be benched for close to three months in his previous expedition. Despite being strongly built and boasting of a burly stature, he is slow to react and on many occasions the Italian has been caught between the posts. Another signing which has caught the attention of the Indian football fans is the Brazilian Eduardo Ferreira, the former stopper for FC Pune City, Mohun Bagan, and East Bengal. Eduardo is an experienced defender in Indian football and is expected to be a massive boost for the Orange Army.